What can you learn from the priorities and marketing approaches of the B2B sector's top performers? We've gone back to basics to identify the key things that should be at the heart of everything B2B marketers do. 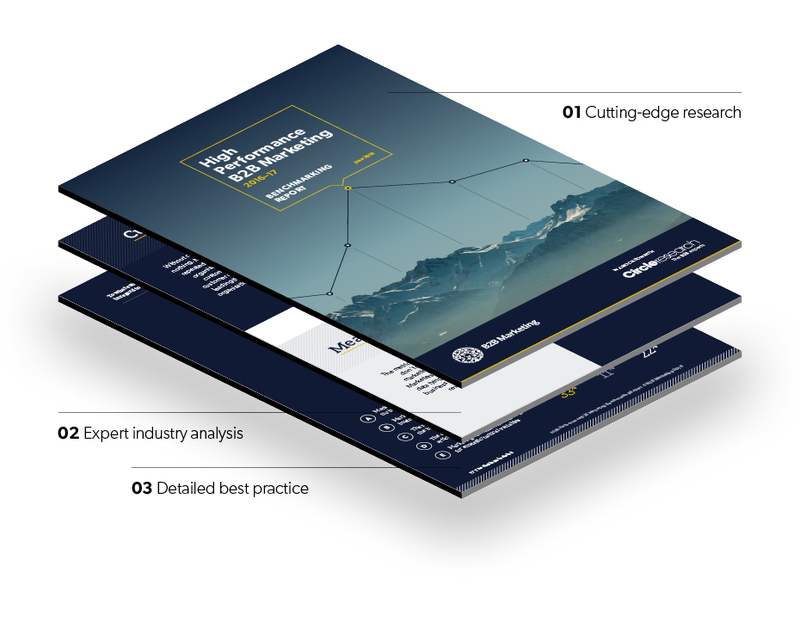 Through detailed benchmarking research, we’ve broken down the core behaviours and priorities of the top tier of B2B marketing performers, to illustrate what high performance B2B marketing really looks like. Which factor 97 per cent of high performing marketers rate as the most important to their success. Learn where the biggest ‘approach’ gap lies between average and high performance marketing – a gap of over 35 per cent. The report also includes a headline action plan to help you turn insight into actions and focus your effort where it really matters. "We are looking at what the best-performing third of the market is doing differently from the rest"
2 – What is high performance B2B marketing?